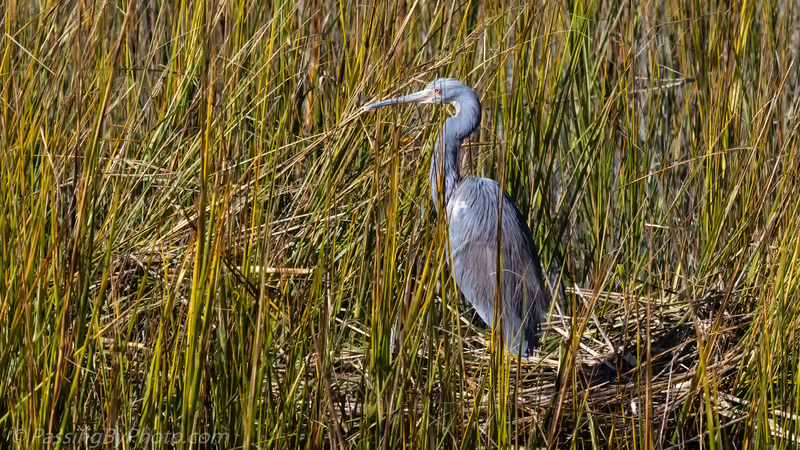 If this Tricolored Heron hadn’t moved I might not have seen him. 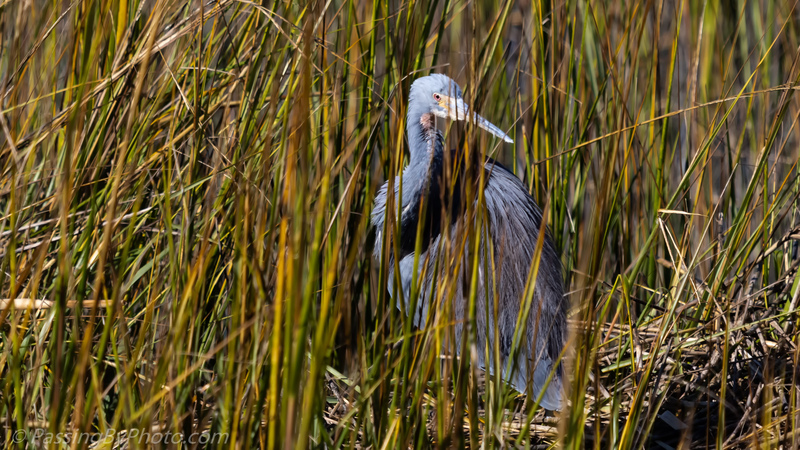 Surrounded by marsh grass that was over his head, he was standing on a clump of dead reeds working on his grooming. The tide was coming in and soon he’d be standing in water.